Much research has been done in construction safety. If you are working in construction, you have probably heard the facts over and over. 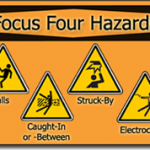 The majority of construction injuries are from four main hazards, hence the “focus four hazards“. 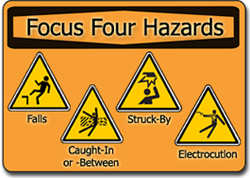 Although this site is for health issues & industrial hygiene in construction, it would be ridiculous to NOT mention these other hazards. When talking with superintendents and safety coordinators, you can usually tell very quickly if they have these under control. Either their subcontractors already do it right, or if/when they see an error, they immediately stop and address the inefficiency. 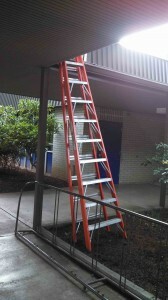 I saw this ladder in front of my children’s school. There was no one around and, by the look of it, there might have been someone on the roof. 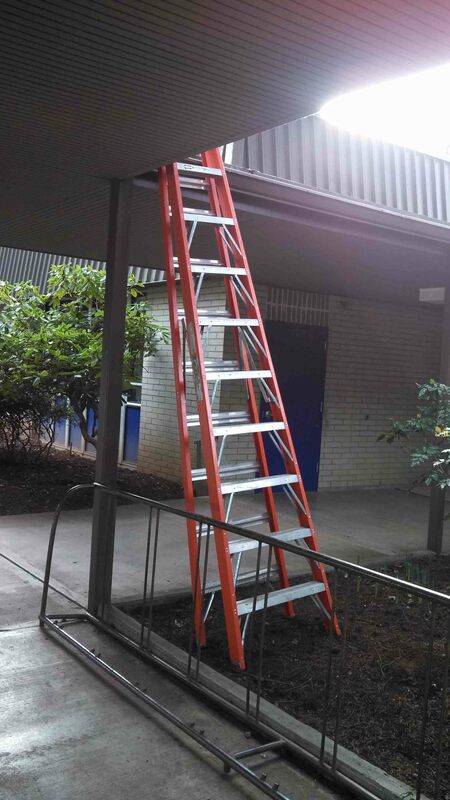 I should have waited, or fixed the ladder and spoken to the individual. But, I didn’t. Instead, I took a picture, put it on the internet, and now I’m telling everyone why it’s wrong. Industrial Hygiene in Construction is powered by	WordPress 5.1 and delivered to you in 0.437 seconds using 30 queries.